I was thrilled to get the latest Dropcam Wi-Fi mobile connected camera in house, the Dropcam HD, shortly after it debuted at CES. I reviewed the previous model last spring and was impressed with its easy setup and cool companion apps for Android and iOS. With a more sleek design and 720p HD video capture and streaming, the Dropcam HD was one of the more exciting connected home gadgets I saw at CES. As soon as I began testing my unit, I noticed some video issues. Video quality certainly did not look “HD,” that’s for sure. My video looked pixelated and colors were muddy. Also, video occasionally looked a bit warped, like it was filmed through a fisheye lens. There was also about a 5-7 second delay over PCWorld’s Wi-Fi network. I wasn't the only reviewer who noticed this problem. The Verge and Slashgear also noted poor video quality. The good news is that Dropcam picked up on this feedback right away and ensured PCWorld that all customers will receive a unit without video and audio issues. Right now, you can preorder a Dropcam from the company's Website, but you won't be able to get one right away. We’ll publish a full-rated review of the Dropcam HD once we receive the final review unit. So what’s new with the Dropcam HD? It now has a night vision mode, which is useful if you’re using it as a security camera. There’s also two-way audio so you can respond to what you’re watching. For example, you can ask who is at the front door or yell at your cat if he is misbehaving. I noticed that the speaker on the current model is weak, however, and it is hard to hear sound coming out of it. Hopefully, this issue will also be addressed in the final version. The camera also has digital zoom if you want to focus on a specific area of your home. 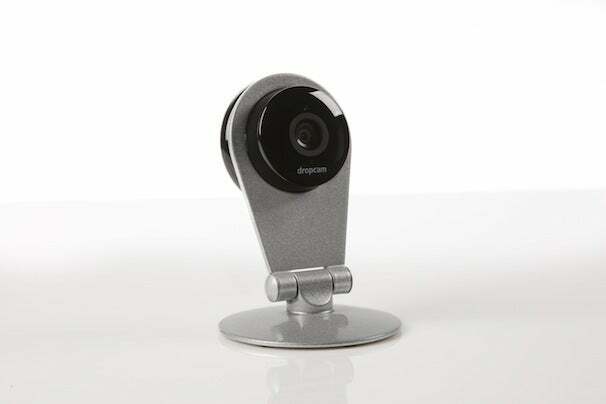 The Dropcam HD costs $150 and is available for preorders on www.dropcam.com. You can also access recorded footage at a later time if you upgrade your Dropcam account to either the Basic or Premium plans. For $9.95/month, you can record seven days of footage or for $30/month, you can record up to 30 days of video. Updated 2/3/12 at 4:45 PM: We spoke to Greg Duffy, CEO of Dropcam, who said that no customers received faulty units in the initial shipment. According to Duffy, only reviewers received the pre-production cameras. He also stated that Dropcam offers a 30-day money back guarantee and a one-year limited warranty if customers are unsatisfied with their camera.